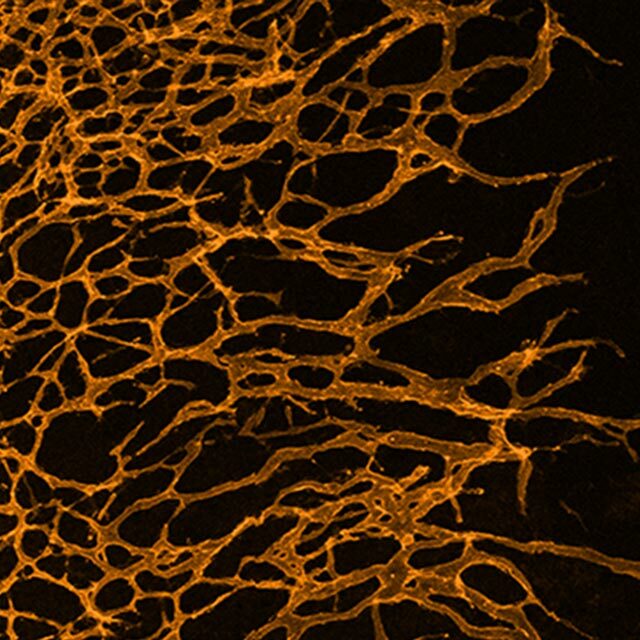 The UQ Centre for Cardiac and Vascular Biology (CCVB) brings together researchers from The University of Queensland with a common goal, to investigate vertebrate cardiac and vascular biology with a focus on development, regeneration and disease. The CCVB has a particular focus on heart attack, atherosclerosis, congenital heart defects, lymphatic disease and age-related eye disease. We are eight independent research labs led by Justin Cooper-White, Mathias Francois, Ben Hogan, James Hudson, Peter Little, Nathan Palpant, Kelly Smith and Wally Thomas located at The University of Queensland in Brisbane, Australia. We are based within the Institute for Molecular Bioscience (Francois, Hogan, Palpant, Smith), the Australian Institute for Bioengineering & Nanotechnology (Cooper-White), the School of Biomedical Sciences within UQ's Faculty of Medicine (Hudson, Thomas) and the School of Pharmacy within the UQ's Faculty of Health and Behavioural Sciences (Little). Our program is focused on research excellence in Cardiac & Vascular Biology. Hence our multidisciplinary, collaborative and integrated research centre covers several different aspects of cardiovascular development, regeneration and disease. Our labs are filled with talented and passionate scientists. Select a group to find out more about our eight teams. 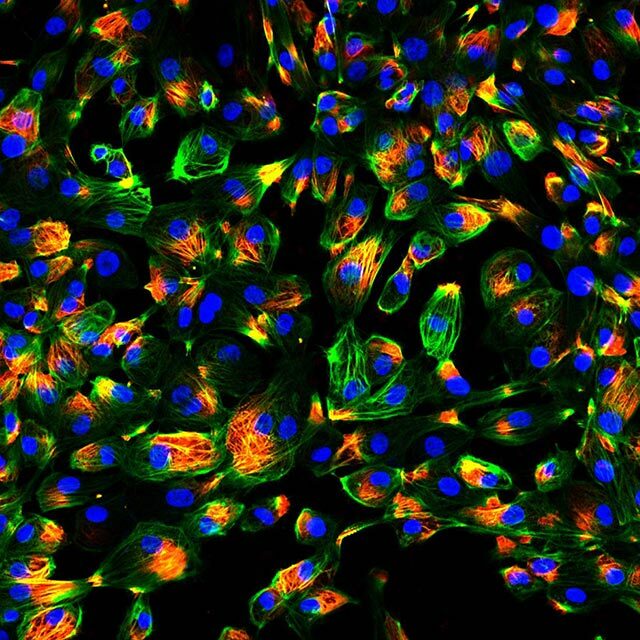 With our stem cell, tissue engineering and animal models, we are identifying novel regulators of cardiac development and function. These regulators are what are defective in congenital heart disease and it is through understanding these regulators and building a roadmap of heart development that makes it possible to make sense of the causes of congenital heart disease. In additional to using these model systems, we are actively collaborating with cardiologists to sequence patients to identify the underlying cause of each patient’s congenital heart defect. Like congenital heart disease, there are numerous inherited disorders of the vascular system that we are currently studying. Prominent examples include Hennekam and Hypotrichosis-Lymphedema-Telangiectasia syndromes and our research into CCBE1 and SOX18, the respective genes mutated in these disorders, has been pivotal for identifying and assigning diagnostics for these disorders. 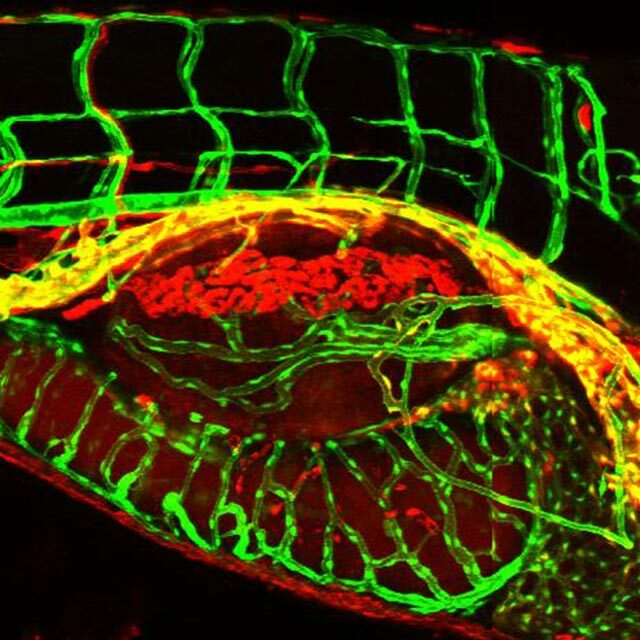 Our ongoing genetic screens in zebrafish and mice continue to discover new genes and pathways in cardiovascular development. All of these represent candidates in cardiovascular pathologies and we collaborate with clinicians on specific findings as they arise. Solid cancers spread (metastasize) to distant organs via the vascular system. Many tumors produce growth factors that stimulate the growth of a tumor vascular system. The tumor vasculature provides it with nutrients and oxygen for growth. It also provides a route for the cancer to access the rest of the body. 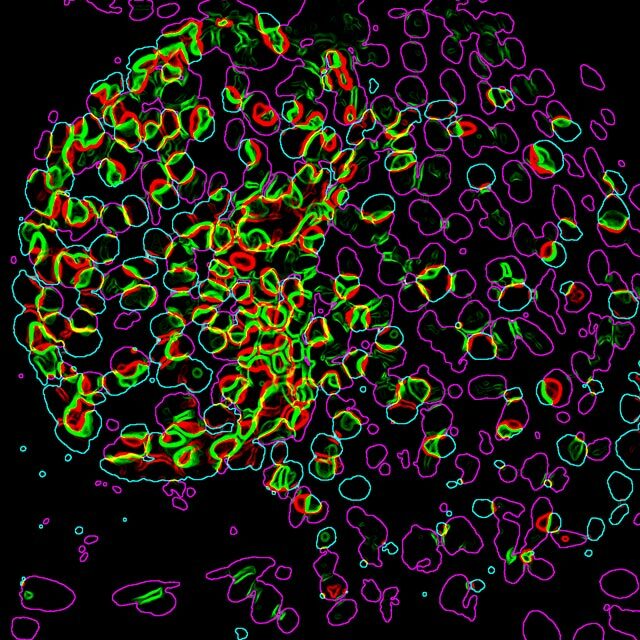 We study growth factors that stimulate the tumor vascular system and investigate how they are secreted, what controls their release and processing and how they signal to a receiving cell. This knowledge is paramount for devising strategies to combat tumour growth and spread. As well as studying growth factor biology, we are also developing high-throughput drug screening platforms in an effort to identify new compounds for drug development against tumour vascular growth. As we age, our tissue degenerates and our ability to heal deteriorates. By using regenerative animal modelling and stem cell research, we are investigating the barriers that our bodies put in place as they age to prevent our ability to regrow sick or damaged tissue. One example is our failure to repair our hearts after cardiac injury, such as a heart attack – the most common cause of death in the western world. We are investigating cardiomyocyte biology to determine how we can reactivate this tissue to regrow after tissue damage and we are investigating revascularisation strategies to assist in that repair. 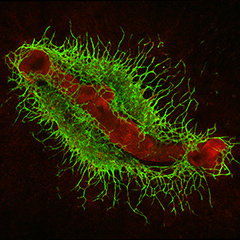 The UQ Centre for Cardiac and Vascular Biology (CCVB) brings together researchers from The University of Queensland with a common goal, to investigate vertebrate cardiac and vascular biology with a focus on development, regeneration and disease. Each of our teams brings a specific area of expertise to the centre.